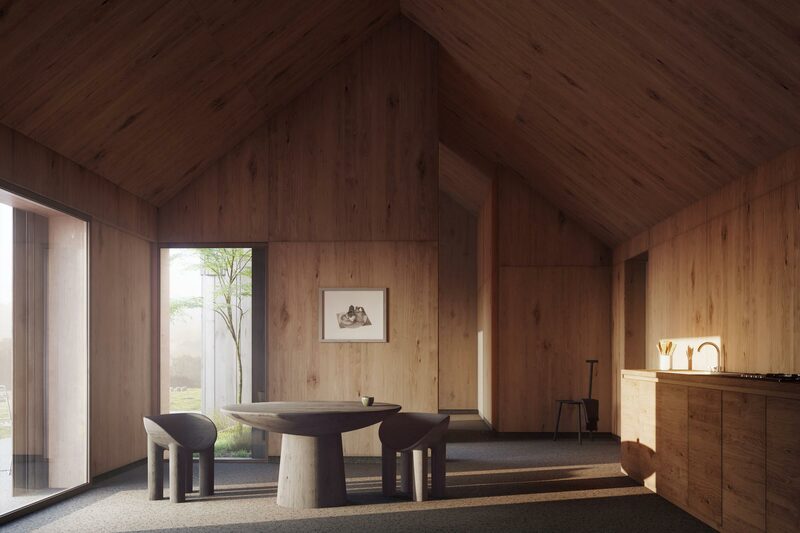 Faye Toogood’s beguiling design for Cube Haus Commissions proposes a sanctuary that suits both rural and urban contexts. 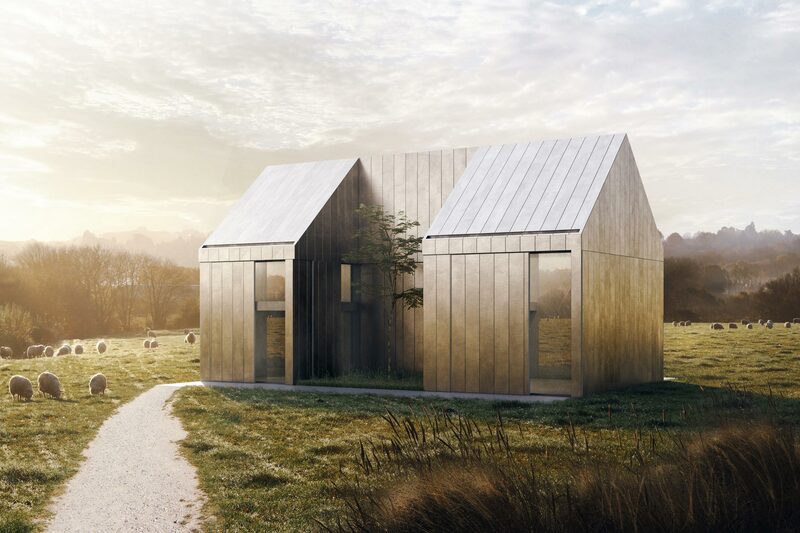 With a simple pitched-roof, single-storey form, it evokes the sort of ordinary, often-ignored buildings that have been built across Britain for centuries. 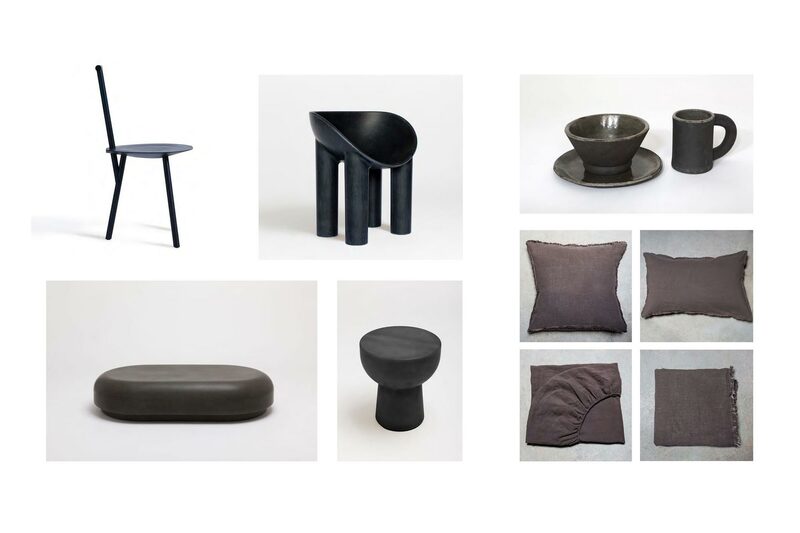 But this being the work of Toogood, a revered designer across multiple disciplines, the scheme that she has created is far from being artless. 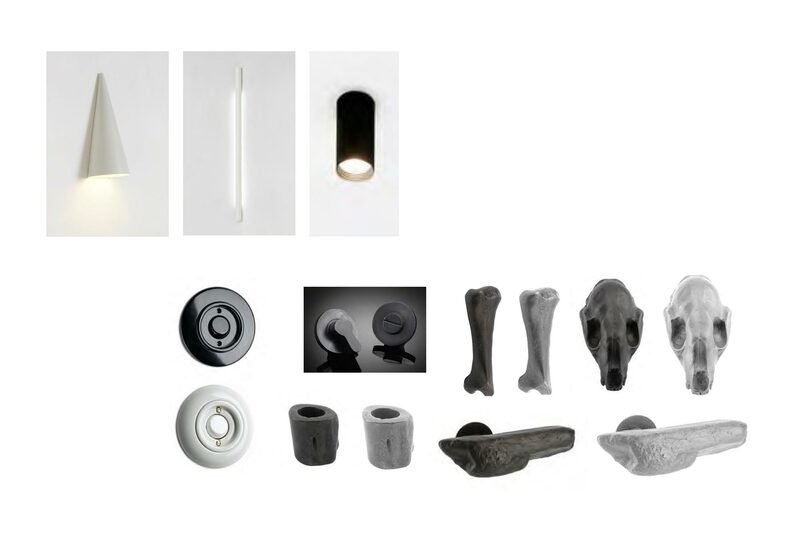 Most notable is Toogood’s sensitive approach to materials. 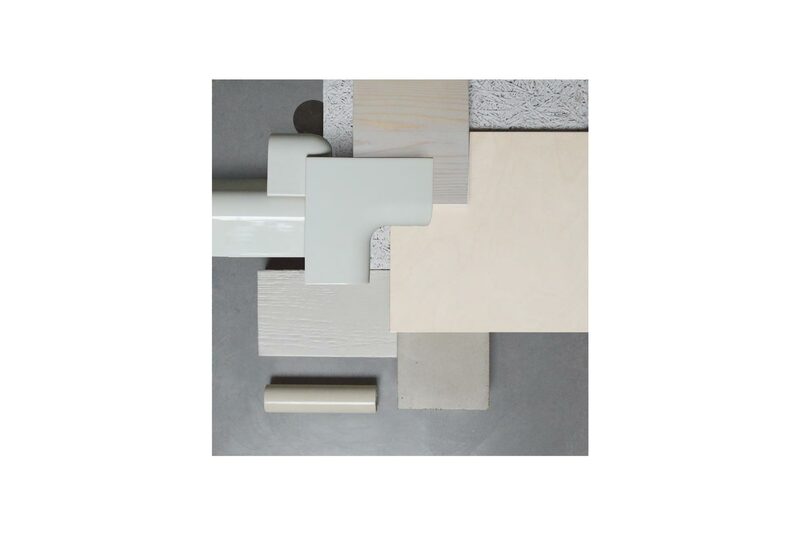 She offers two different, equally alluring solutions to the exterior cladding and the internal finishes. 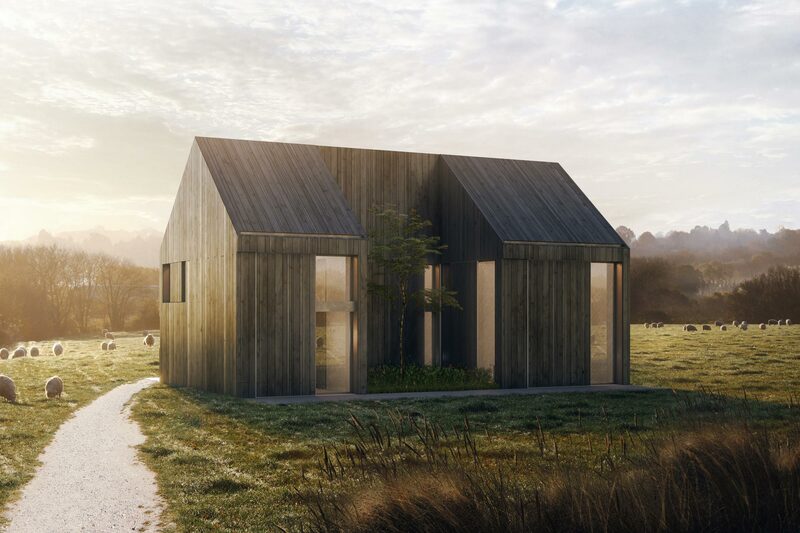 Both external cladding options, raw galvanised steel and dark charred timber, are suggestive of industrial or agricultural structures, making it something of a thrill to see them in a domestic setting. 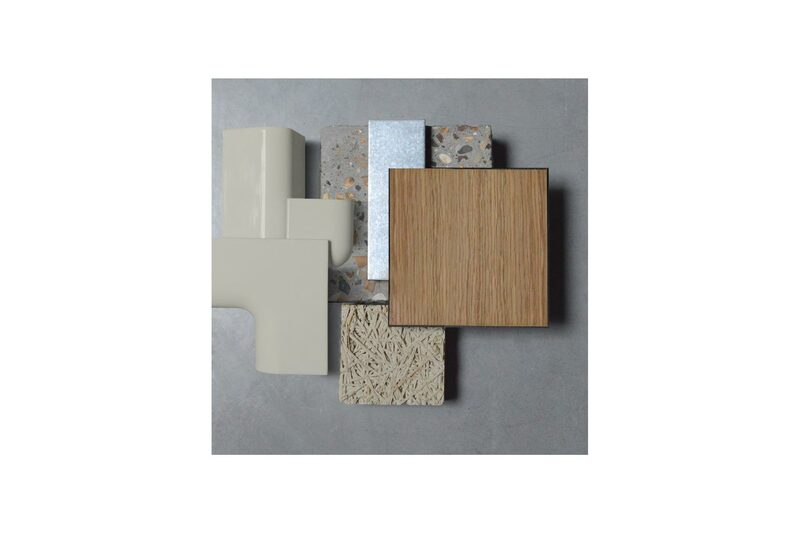 The building clad in raw galvanised steel will have a refined, cream-coloured interior, whilst the structure clad in dark charred timber will have an exposed plywood interior finish. 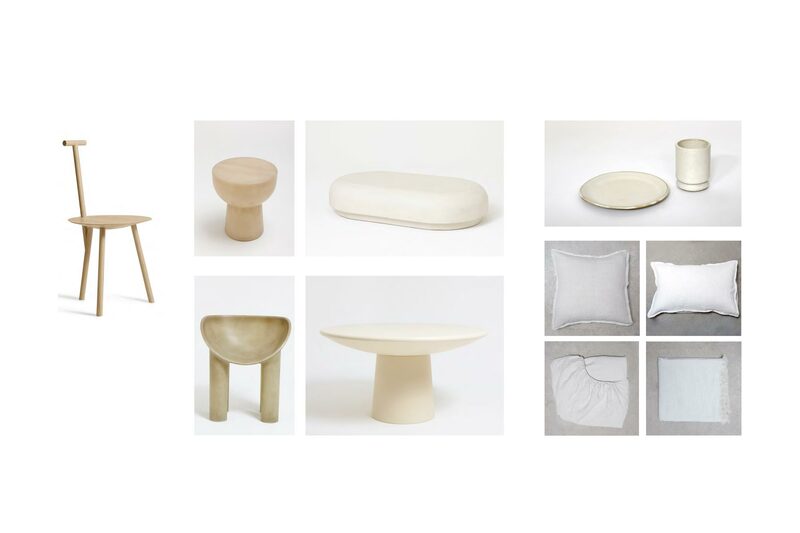 The fact that Toogood works in fashion, furniture design and other areas beyond building design allows her to have a more holistic and intimate approach to the Cube Haus Commissions project. 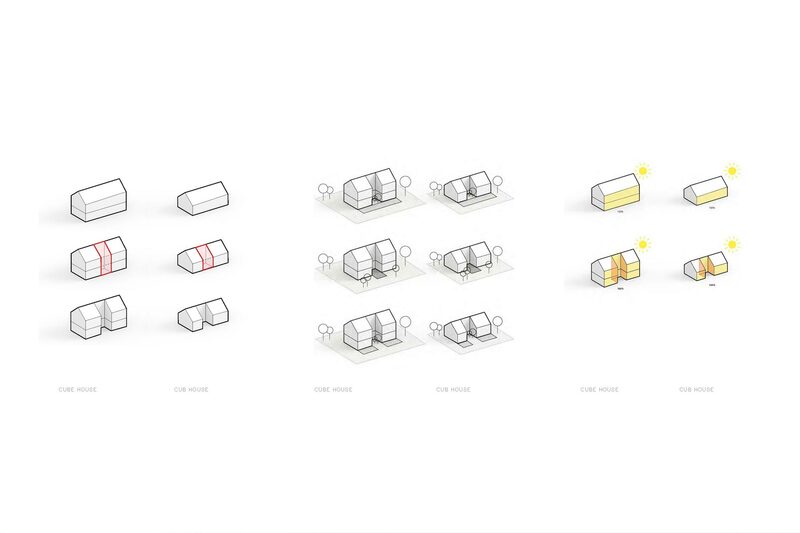 Not only has she given considerable thought to the impact of the external appearance, for instance, but also to the things like light fittings and door handles that play an important part in the occupant’s everyday experience. 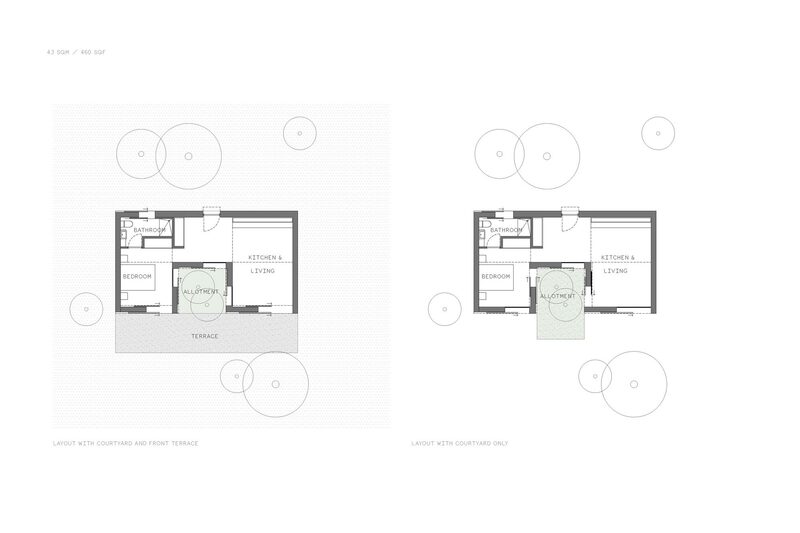 The only alteration to the simple rectilinear footprint of the house is a central recess which provides space for a courtyard garden. 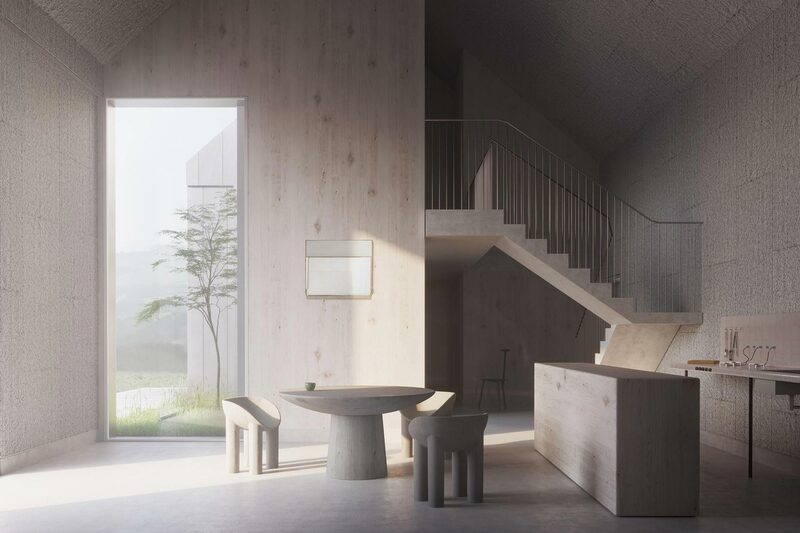 This area, where plants, vegetables, flowers or even a carefully-chosen tree can be grown, is viewable from all the rooms in the house, ensuring that there is a sense of the natural world outside from even the most intimate of internal spaces.